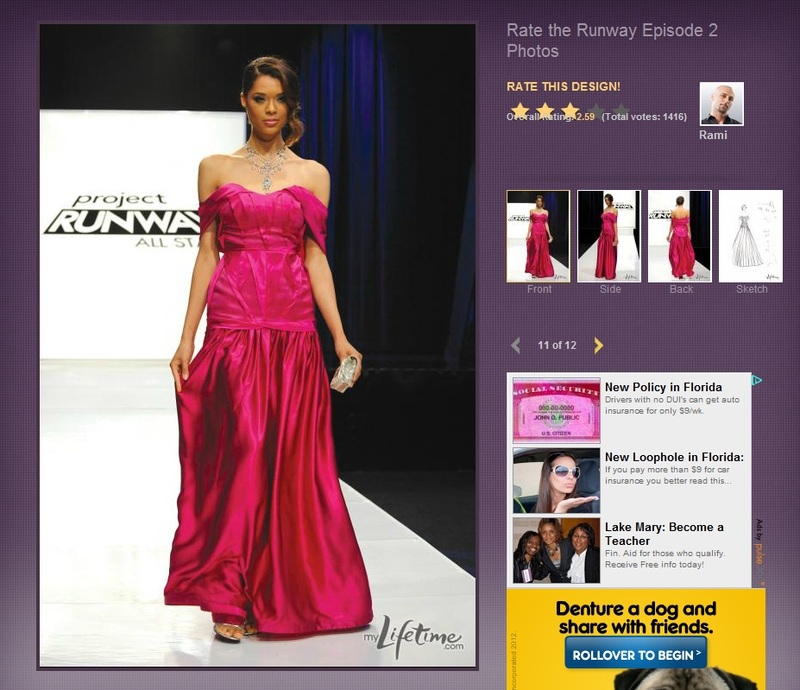 The team planning the challenges on Project Runway All Stars wasted no time getting to the glamorous part of the series! This week the designer’s had to create beautiful ball gowns appropriate for a night out at the Opera! Austin I think had a good idea, though I think with a little more than one work day, he would have gone over the top gorgeous, but I think it is still beautiful. I think Gordana was off to a good start. I really love the top of the dress! I hesitate to say I love all of it because when the model was walking down the runway, those lighter pieces of fabric that came through looked almost like the girl was wearing some funky pants or something. But for a day, that is a very cool dress! Personally, I really do not care for Michael. He comes off as very whiny and “woe is me” all the time, but that could just be me. Regardless, the boy can knock out a dress! This is my episode favorite! Who doesn’t love a gorgeous black dress? Speaking of beautiful black dresses, Mila made quite the stunner dress as well this week! I think I like where Mondo was going with his dress, but I’m not sure how I feel about her train/cape, whatever that is in back. But I got a very classy elegance feel from his dress, I like it. Rami had a gorgeous sketch, and I bet with more than a day would have made a dress that was out of this world! The one he actually made was quite beautiful, though I wonder how the girl could go to hug anyone with her arms pressed down like that in back!! As for some of the other designers look’s, I don’t really get that “glamour, sophisticated night out at the opera” feel from them like I did from others. Now, if some of the girls were going to a summer dinner party or something spring and outside like, I could see it. But most didn’t work for the challenge. And don’t even get me started on the prints! They looked ridiculously tacky, in my opinion and were just poor choices by many designers. It was like a mini plague spreading through half of the work! 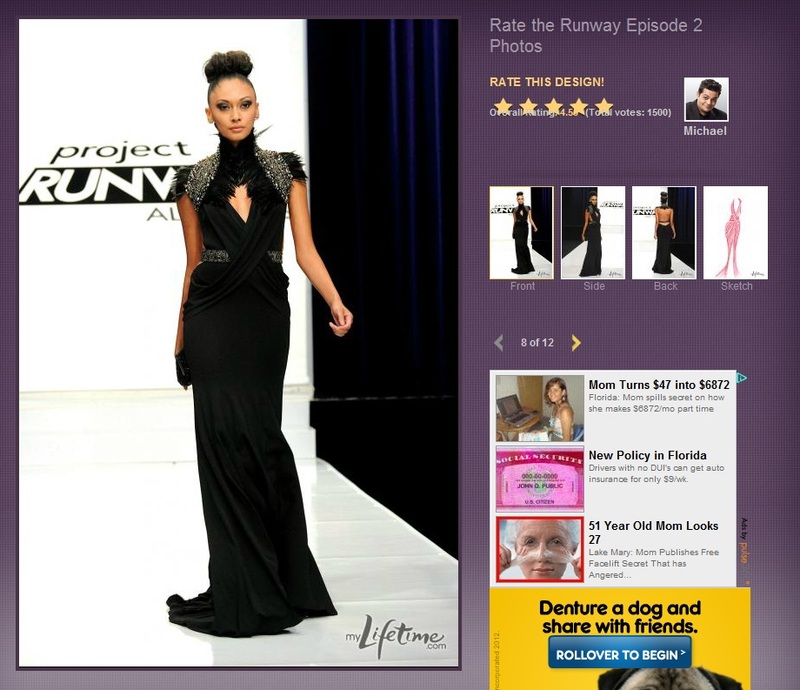 I hope I’m not the only one, but I HATE listening to the judges in most of the Project Runway/Accessory shows. They are so closed minded and elitist sounding. Not unlike our public school systems, I feel they have crushed out any real creative, out of the box thinking that some of the earlier designers in Project Runway history brought to the show. I had stopped even listening to that part of the episode, and would just wait till the next week to see who was in and not. Now that they brought in some a true fashion artist, Isaac Mizrahi, I think I can begin to listen to the judge’s commentary. I love what he has to say, and tend to agree with many of the points he makes. His concern is not “can I mass produce this and sell it in my stores” but more of what type of woman can wear this, AND LOOK GOOD doing it. That seems to be an uncommon trend on these shows. 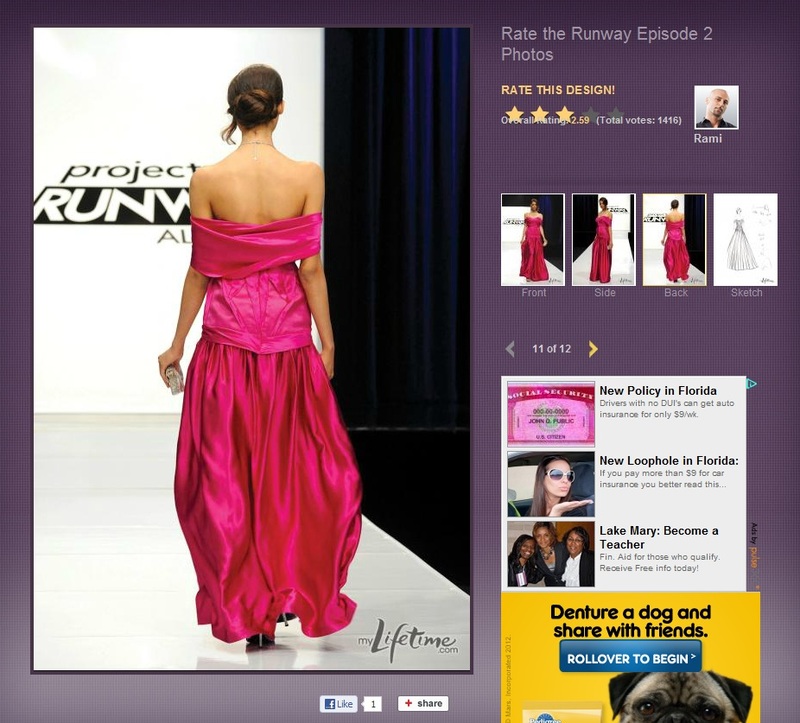 His unique point of view (and perhaps thinking) really is what is reviving my love for Project Runway. I hope it continues.